Adults average 2-5 upper respiratory tract infections each year while children average 7-10 upper respiratory tract infections a year. Physician receive an easy to read "Detected" or "Not Detected" results for reach pathogen. Prevent the use of unnecessary antibiotics. May lead to shorter hospital stays. 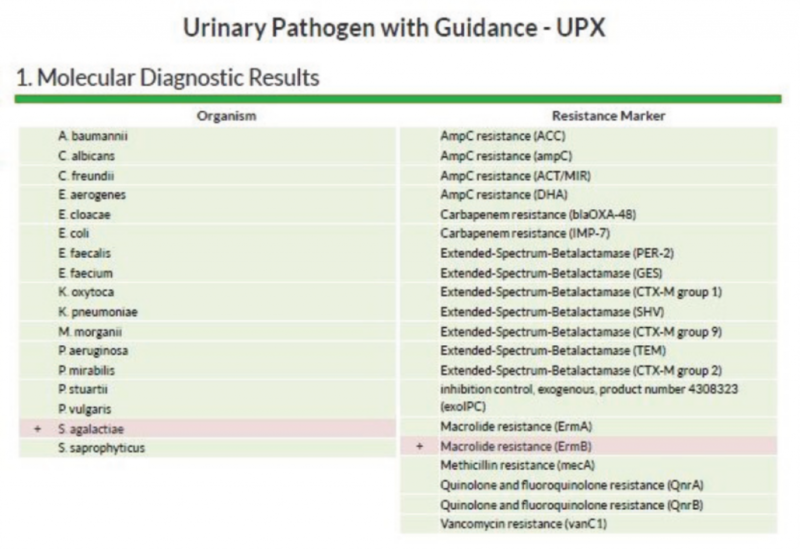 This assay detects presence of microbial DNA from pathogens that can cause UTI’s, and it provides antibiotic guidance. Provide antibiotic stewardship for your patients.